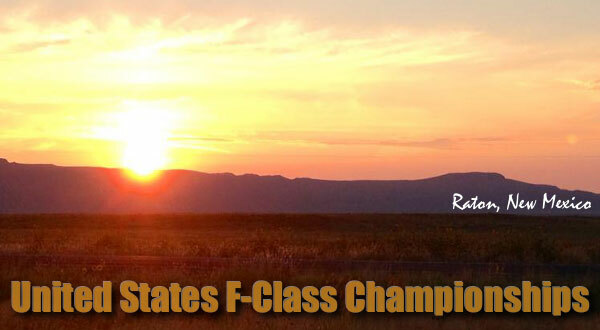 The U.S. F-Class National Championships are underway at the Whittington Range in Raton, New Mexico. The event commenced yesterday with squadded practice. Today the first official matches started at 8:00 am, with threee 15-shot invidivual events at 1000-yards. 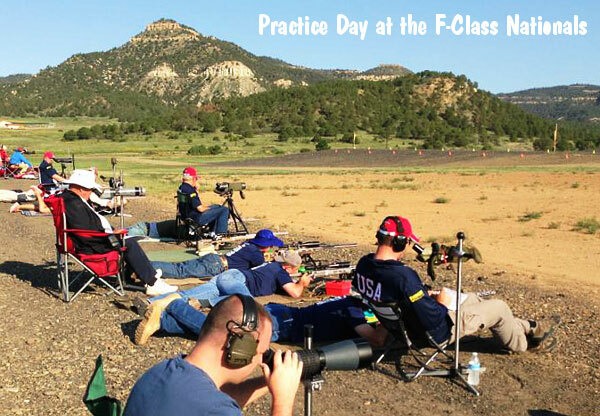 The event is hosted at Raton by the Bald Eagle Rifle Club (BERC). CLICK HERE for match information. record in a time of 22 minutes. Match 2: 1000-yard individual slow fire prone. Two (2) sighting shots and 15 shots for record in a time of 22 minutes. Match 3: 1000-yard individual slow fire prone. Two (2) sighting shots and 15 shots for record in a time of 22 minutes. Because the 2013 F-Class World Championships will be held at Raton immediately after the U.S. Nationals, many international shooters will be attending the U.S. Championships this week. The firing line definitely has a multi-national look this year. 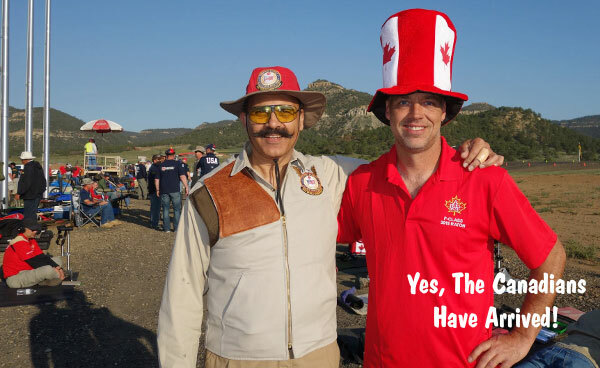 Below is U.S. F-Open National Team Captain Shiraz Balolia with a proud Canadian competitor. For once Shiraz may have been one-upped in the hatsmanship competition. 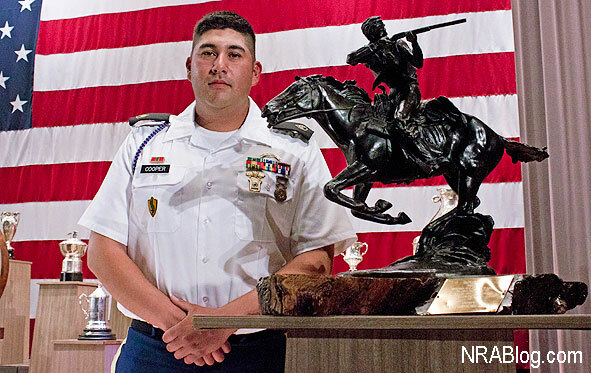 Share the post "U.S. F-Class Championships Get Started in Raton, New Mexico"
It was a close one for SSG Tyrel Cooper. He’s been close before at NRA’s National Long Range High Power Rifle Championships in Camp Perry, but not as close as this. Not so close that his overall point total of 1243, while impressive, was not good enough to win. It was only good enough for a tie. Thank god for the X count. With an X count of of 71, Cooper inched by fellow U.S. Army Marksmanship Unit (AMU) teammate Brandon Keith Green by seven whole points. Talk about the skin of your teeth. “It’s been a long time coming,” said Cooper — Fourteen years to be exact. Cooper wasn’t raised on rifles. No, he was just your typical California kid on the streets of Sacramento. It wasn’t until a 14 year-old Ty accompanied his father to the Police and Fire Games that he discovered a passion for firearms. Working odd jobs and hoarding the cash, Cooper eventually saved enough for an AR of his own. Now all he needed was a place to shoot. California, contrary to popular opinion, would provide. The rest of Cooper’s teenage years were spent competing. With his father and sister in tow, they went from competition to competition throughout the state. It was a family affair. Cooper was working on a life of his own. Out of high school, he was searching for a place to put those rifle talents to use. That place would be with the U.S. Army. Joining at the age of 19, he spent the next few years honing skills. Reading wind, playing with ballistics, shooting whenever possible. Four years later, as a member of the USA Young Eagles Rifle Team (America’s under 21 and under 25 long range rifle team), he met with AMU Coach Emil Praslick. It’s been a whirlwind ever since. Learning from the best in the business, Cooper utilizes his refined skills to be the best in competition and valuable resource in training. As any member of the AMU will tell you, one of their primary goals is to serve as a force multiplier. They do this by sending members of the Unit to army bases throughout the world. There they teach the troops the finer points of marksmanship. But the travel doesn’t end there. There’s also a great deal required for the competitions. Ty explained: “For Long Range I’ve been to Canada, England, Australia, South Africa. In the states I’ve shot in California, Louisiana, Tennesee, Virginia, Georgia and Ohio. 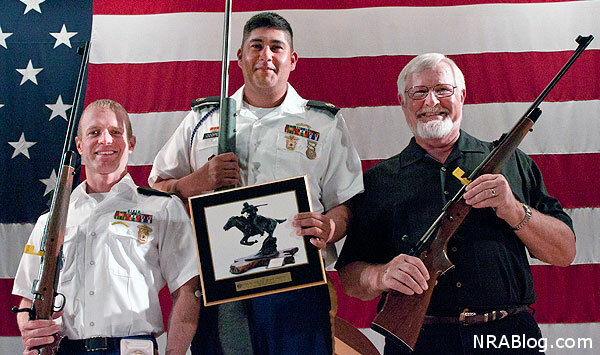 Long Range has taken me around the world, High Power has only taken me up and down the east coast.” Now, no matter where he goes, he will always be known as NRA’s 2013 National Long Range High Power Rifle Champion. “When he was a kid growing up, he had a lot of help from a lot a good shooters,” said Robert Gustin, one of Cooper’s early mentors at the Sacramento shooting club. 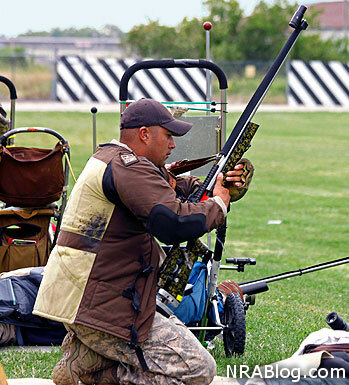 “One thing you can count on is that he’s always been good and will get nothing but better.” Photo above shows SSG Brandon Green, SSG Tyrel Cooper, and Bob Gustin on stage at the NRA Long Range High Power Rifle Championships in Camp Perry. Share the post "Long Range Champion SSG Ty Cooper — How He Got Started"
Bushnell Outdoor Products has launched a new optics family designed especially for AR-platform rifles. The new AR Optics product line from Bushnell includes six new riflescopes that range in configuration from a 1-4x24mm scope for close target acquisition to a 4.5-18x 40mm scope designed for extended range shooting. The AR Optics series scopes all feature fast-focus eyepieces, and large-diameter, target=style turrets. Side parallax control is included, except the for the lower-power 1-4X models. One nice feature of Bushnell’s AR line of optics are caliber-specific reticle options. With three bullet-drop compensation (BDC) reticles available in the AR Optics line: DropZone-22, DropZone-223 and BTR-1, the scopes are designed for ease of use and quick target acquisition. The Bushnell AR scope offerings boast fully multi-coated optics in durable one-piece tubes. Bushnell claims that its AR-line scopes are waterproof and fogproof. 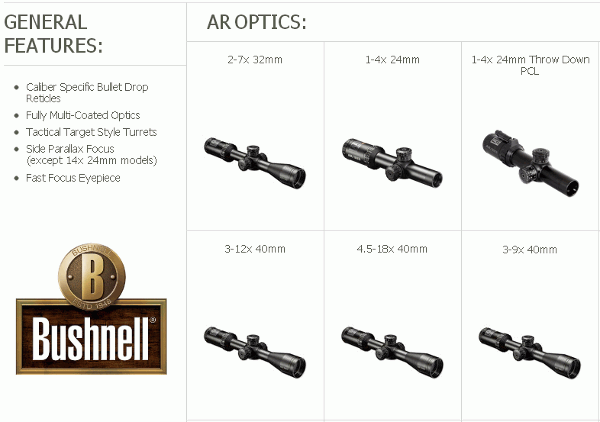 Share the post "Bushnell Releases Six New Scopes in AR Optics Line"